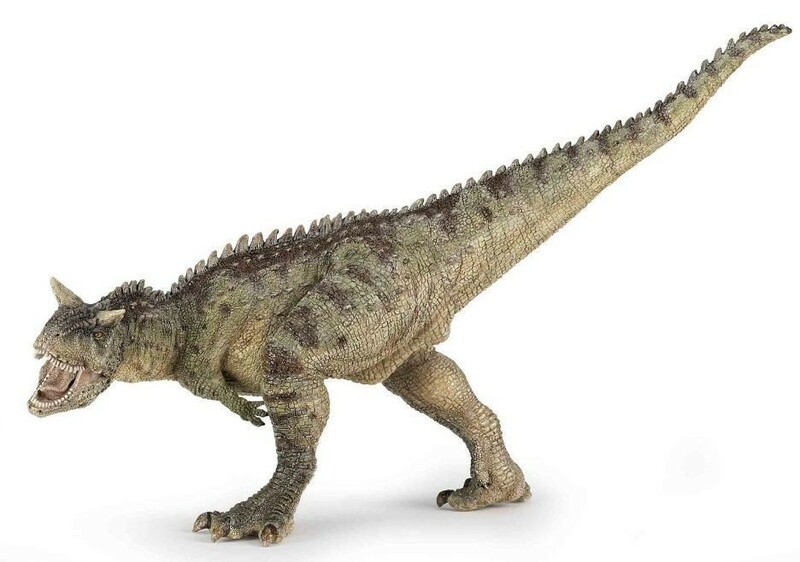 Papo’s Carnotaurus is a gem (what did you expect?). Not particularly large (7″ long x 4.5″ tall) because they weren’t in real life, but he’s beautifully designed and detailed. Like most of the Papo replicas, color is subdued browns and greens, and, like some of Papo’s carnivore replicas, it’s jaws are moveable! 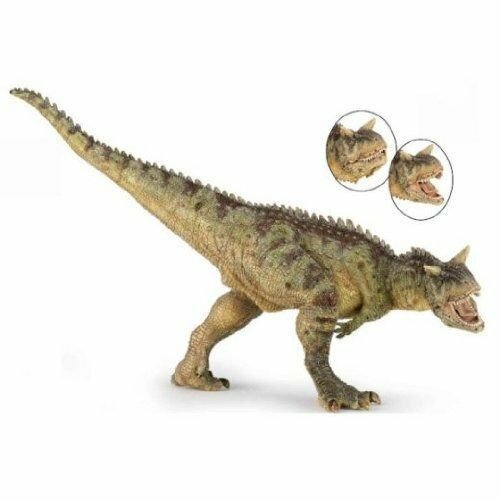 Tags: carnotaurus, collectibles, figure, Model, Papo.